Archive for tag "Cleantech Investor"
Ecosummit TV: Gina Domanig is a pioneer of cleantech venture capital. She got started in 2000 after a tempting call from a headhunter. Since then, Zurich-based Emerald Technology Ventures raised 3 funds and has got €370M of assets under management. Gina likes being a smart green VC because it is a multi-dimensional job involving technology, finance, industrial applications, transactions and, most importantly, lots of smart and inspiring people. It is also a tough job because you have to be available all the time for your portfolio and LPs. Gina travels almost every week, spends 50% of her time with the portfolio companies and the rest with investors, dealflow and fund management. In today’s environment, VCs have to be very involved in securing the ongoing financing of a startup, helping them recruit the best team and making the connections with the relevant corporates who may become customers, partners or even acquirers when it’s time for an exit. Next to the startups, the real customers of the VC are the investors. The majority of Emerald’s LPs are corporates whose key motivation for fund investments is fostering open innovation. There is a lot to learn from Gina and we are grateful that she joined ECO14 Berlin. 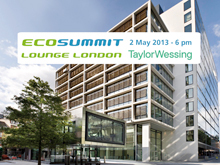 Ecosummit TV: Maximilian Erb presents NRW Bank at ECO13 Berlin. The regional development bank of North-Rhine Westphalia (NRW) is pretty active in cleantech venture capital. Smart green startups in their direct portfolio inlude Direvo, Greenpocket, Evocatal and O-Flexx. The cool thing is that Max of NRW Bank met Holger of O-Flexx at ECO12 Berlin for the first time. 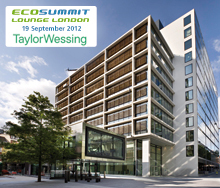 This is a wonderful testimonial that the Ecosummit platform really works and matchmakes cleantech startups and VCs. We are proud of it. And we also appreciate the great work that NRW Bank is doing for Germany’s cleantech startups. 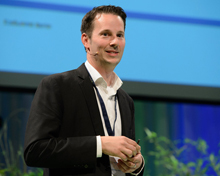 Ecosummit TV: At Ecosummit Berlin 2013, Bart Markus of Wellington Partners provides a very honest reality check of the cleantech venture capital industry. Cleantech investments have gone down, money sits very tight and it is equally difficult for startups and VCs alike to raise new capital. In fact, since 2012 Bart did not make any new investment but rather focused his money and time on his existing portfolio. Now Wellington thinks about whether they should focus on the Internet or raise a dedicated cleantech fund. Still, Bart is an optimist, loves cleantech hardware and sees light at the end of the tunnel. He recommends that startups limit the time and money needed until proof point, tap into other sources of capital and build relationships with potential acquirers early on. Watch Bart on Ecosummit TV to get the full story. 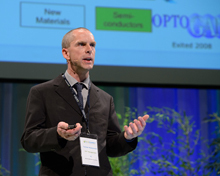 Ecosummit TV: Rene Savelsberg pitches Chrysalix SET at ECO13 Berlin. Rene believes that the investment focus on technologies with capital-efficient business models as well as their global expertise are the key success factors to achieve returns in the big cleantech universe. The Dutch VC is one of the few players that managed to successfully exit a portfolio company. They sold Epyon to ABB in 2011 which became the new EV fast charging business unit of the Swiss corporate. Chrysalix SET’s active portfolio includes Enocean, Alertme, Sefaira and the new investment Luxexcel, a 3D printing technology company focused on the LED industry. We are happy that Rene joined our Ecosummit Advisors and look forward to accelerating the best startups in the market. 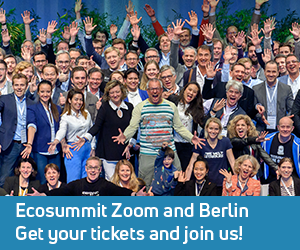 Ecosummit TV: Alois Flatz, Partner at Zouk Capital, talks about Cleantech Venture Capital 2.0 at Ecosummit Düsseldorf 2012 and explains how investment strategies are changing in the current market. On the one hand, Alois thinks positive as cleantech becomes ubiquitous and affects all aspects of life. On the other hand, he has learned from 20 years of experience that VC investors (general partners) depend on fast exits to be able to raise new funds from their investors (limited partners). Thus, investment horizons are shortening and startups need to generate cash and prove their business models as quickly as possible. Zouk Capital is a late stage investor that accelerates cleantech startups that already have at least €5M revenues, multiplying the value of the company and then selling it again after a couple of years. Don’t approach Zouk without revenues and rather try to get there fast.